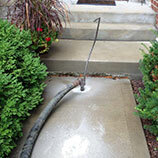 Concrete Repair Chicago: Where Does Concrete Come From? Most people think that concrete is simply pulverized rock mixed with water that is then spread and allowed to dry. While that’s basically how concrete is created, there is a lot more to it than that. 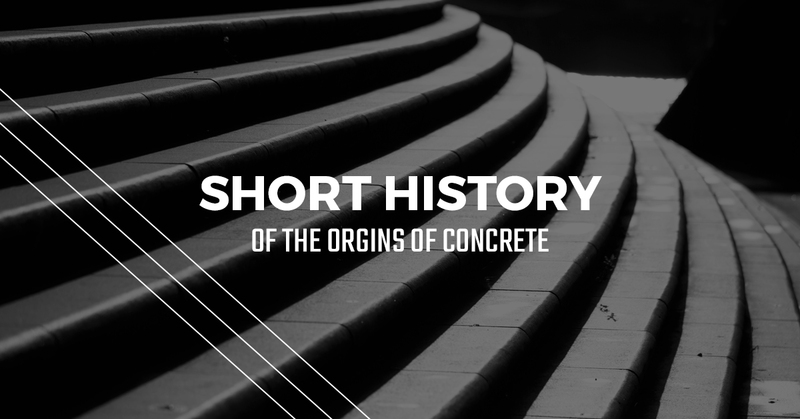 Diving into how concrete is made requires us to look back at how and when humans first started using it and how a simple idea has almost always been far less simple than it appears. In this blog we’ll also talk about what causes concrete to break or sink depending on how it was made or spread. 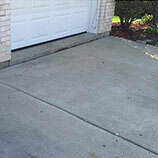 If you have a driveway, patio, sidewalk, or garage floor that needs some concrete repair, call us at B&B Concrete Lifting in Chicago. 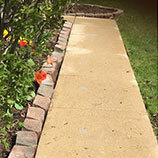 Not only can we make your concrete safe to walk on again, but we can save you a lot of money compared to the costs of having to replace your concrete slabs by using a process called concrete lifting. The first recorded use of a cement made from rock and liquid was by a group of Nabataean traders or Bedouins in what is now southern Syria and north Jordan sometime around 6500 BCE. They used a mixture of wet sand and stone particles to coat the inside of their small buildings. This solution hardened and added stability to their structures and helped protect them from the elements. While this wasn’t technically concrete, this group of people eventually perfected their recipe and started creating buildings with concrete floors. Much later they learned how to use hydraulic lime — a type of lime mortar that sets underwater — which allowed them to build underground cisterns that helped them survive the harsh conditions of the desert. In China, around 3000 BCE, a form of cement was being used to aid in building boats and helping put the Great Wall together. One of the ingredients that helped this extremely strong cement work so well were strains of rice that were exceptionally sticky and glutinous. Probably the period of human existence most associated with concrete (at least until the modern day) the classical era was built with concrete. While most of the common buildings used limestone cement that was slathered by hand in between loose rubble or bricks that didn’t offer a great bond, some of the largest, most impressive structures in architectural history were built with concrete. The concrete that built the Pantheon isn’t like the older concretes used in other places, though. Instead of relying only on naturally-occurring sources of materials, like volcanic ash, the Romans were able to create their own materials that enabled them to complete many large-scale projects that still stand today. During the Middle Ages, much of the knowledge about how to build with concrete was lost and the material fell into obscurity until 1400 CE, though it took until almost 1800 CE before a modern way to create large quantities of hydraulic lime was discovered. In the early-1800s a British man created what has become one of the standards for concrete for almost two hundred years — Portland concrete. He discovered that by grinding and burning clay and chalk in a kiln, thereby eliminating all the carbon dioxide. Since this time, the recipe has changed a little, but there has been a very dedicated focus on maintaining the standards of this formula in order to create a reliable product with consistent results. Many things have been added to concrete over the centuries, either for decorative purposes or to strengthen the material to make it more resistant to damage. In the past horsehair was used to help stop slabs of concrete from shrinking. Today, synthetic fibers are used to accomplish that same result. There are a wide variety of chemical admixtures that can either speed up or slow down the curing process. Air entraining agents are useful in reducing the damage from freeze and thaw cycles by adding lots of little air bubbles, though this can lower the strength of the concrete. In ancient times substances like blood and animal fats were used to accomplish the same effects. 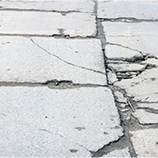 If you have a need some concrete repairs, please call us at B&B Concrete Lifting. We can check out your property and see if concrete lifting would be the best solution for your property.